Arctic have been around for a while now, best known for their cooling products, particularly the MX series of thermal compounds and the Freezer range of CPU coolers. 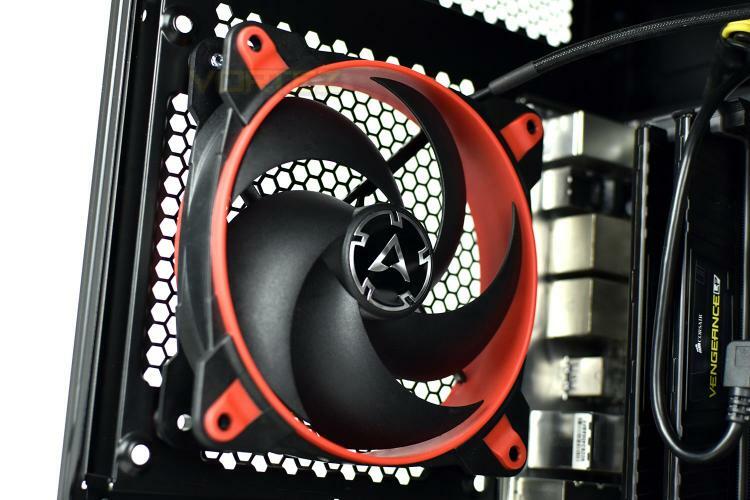 The P120 utilises the PWM connection standard, allowing a range of 200 to 2100 RPM as well as an idle-mode, which stops the fan completely when the PWM signal drops below 5%, ensuring absolute silence when the system doesn’t require airflow. The BioniX P120 will be available early December, black & white or black & red, with a price tag of £13.99/$15.99. The specifications certainly sound promising so let’s take a closer look and see how it performs. During the development of the new BioniX P120, special emphasis was placed on a focused airstream and thus a high static pressure. The fan guarantees extremely efficient cooling, even with increased air resistance. Therefore, the BioniX P120 is particularly suitable for use on heatsinks and radiators.